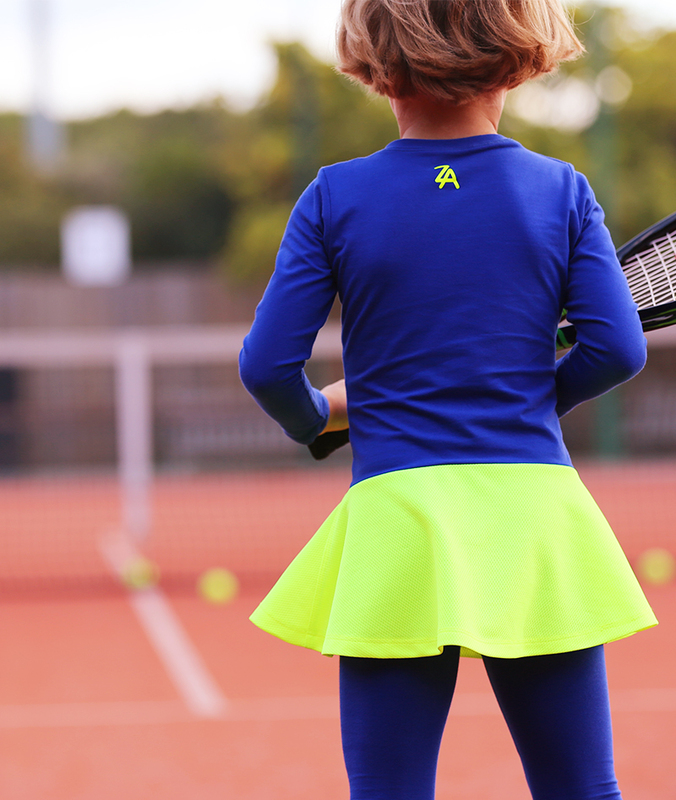 A long sleeved, warm welcome to our new Daria Winter Tennis Dress from Zoe Alexander’s girls tennis dress collection. 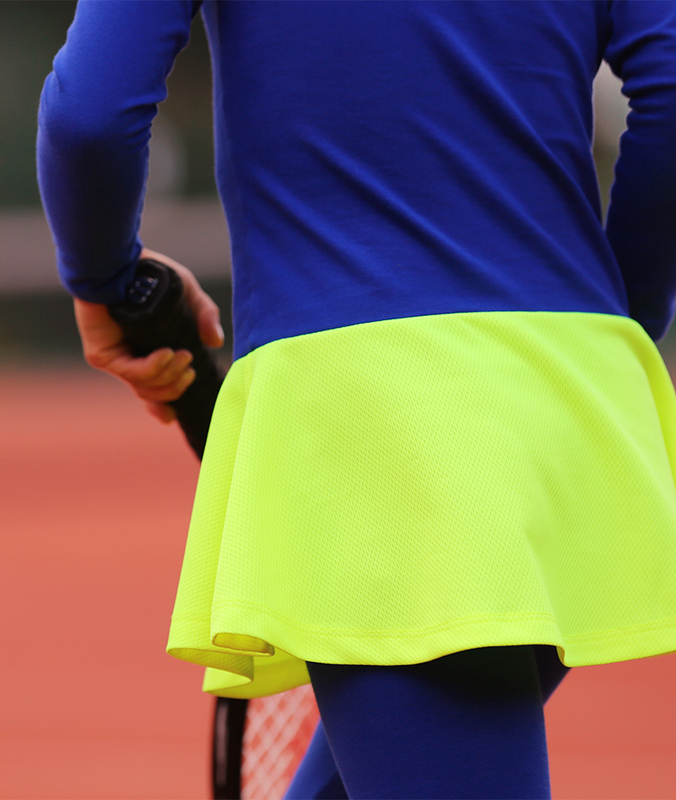 For those of you who love to make a statement in neons, it’s time to shop the look. 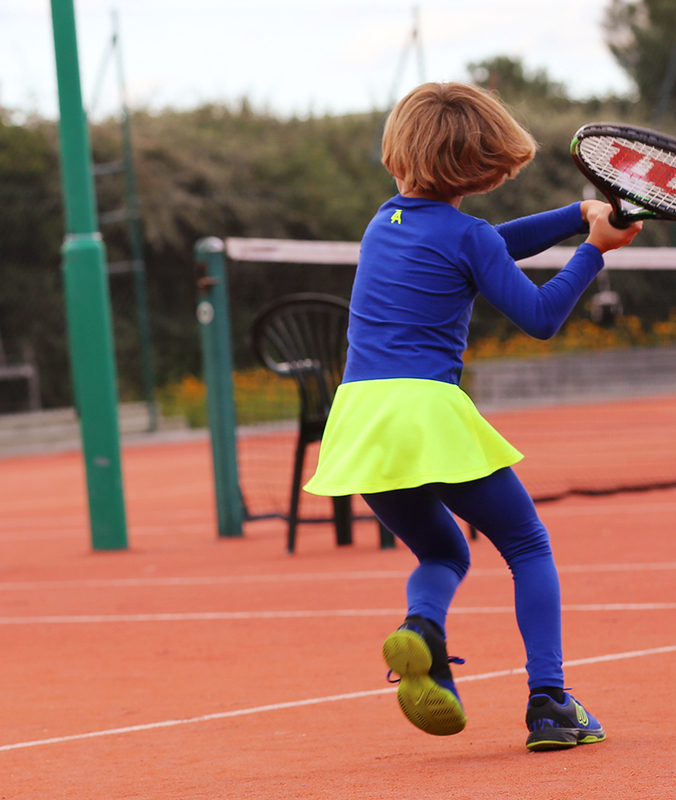 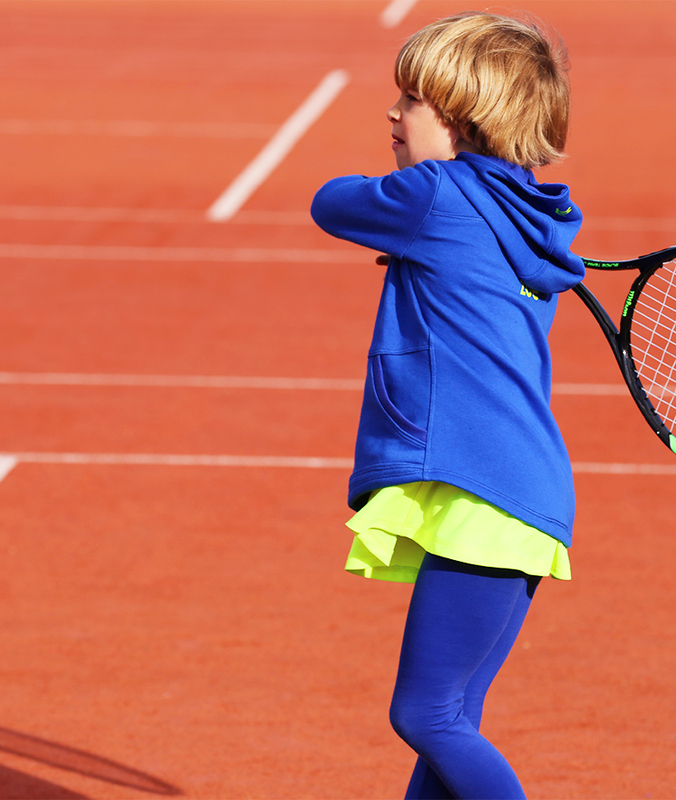 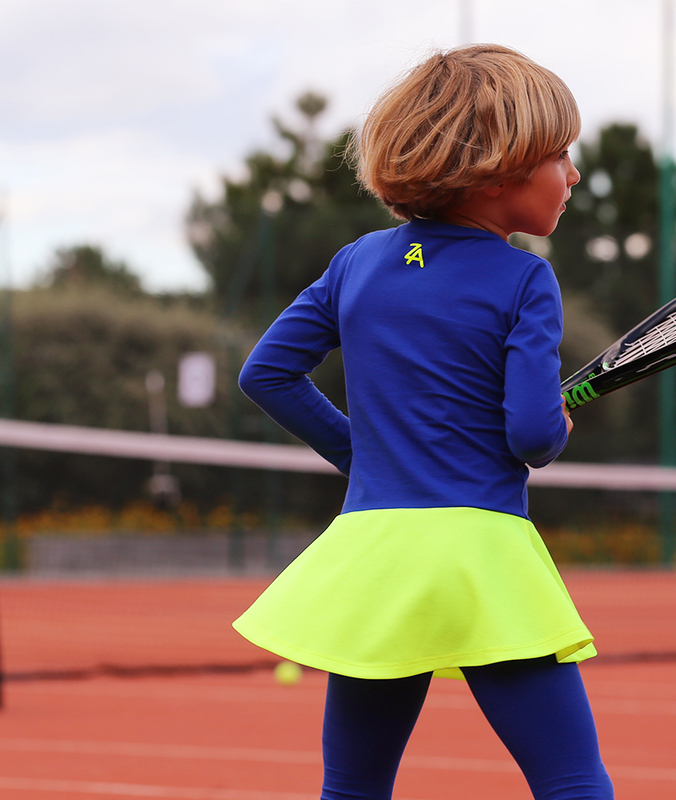 A new version of one of our leading designs offers a bright, warm tennis dress with neon yellow ZA logos set on a bold blue or black that sits over matching long leggings. 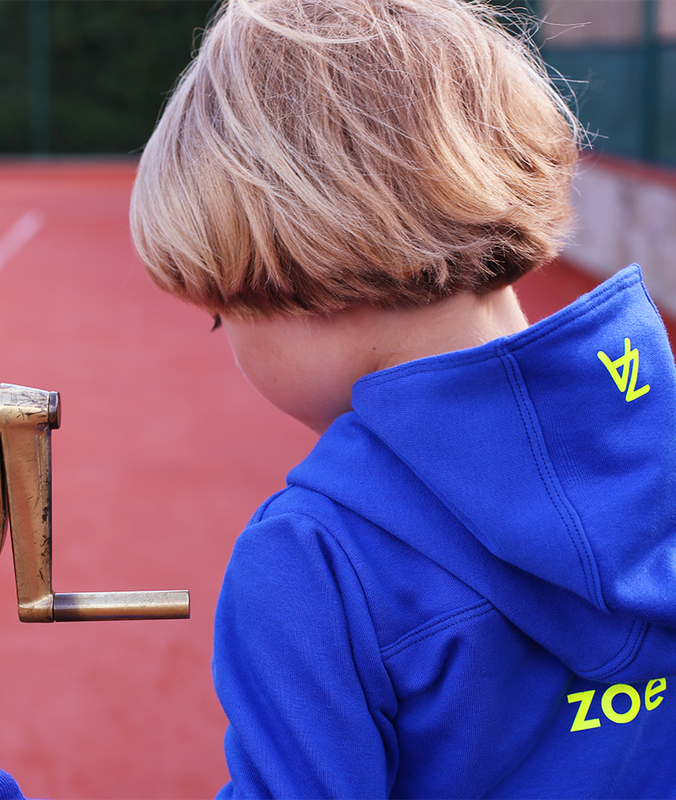 Team up with the complementary Girls Long Sleeve Tennis Hoodie for those challenging outside tournaments and training days where warm muscles are a vital component of a winning performance! 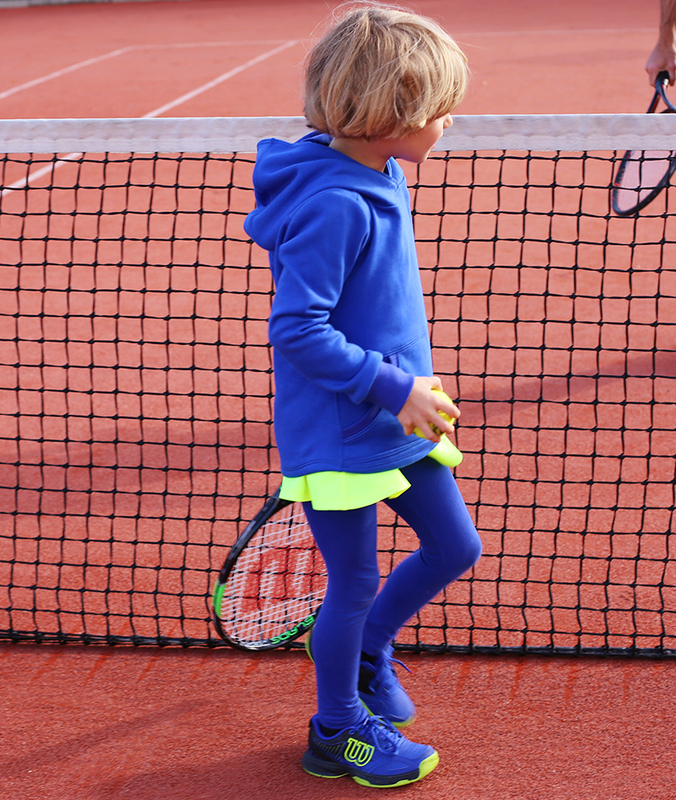 Finish off the complete look with the Wilson Kaos Blue Junior Tennis Shoe available from Zoe Alexander. 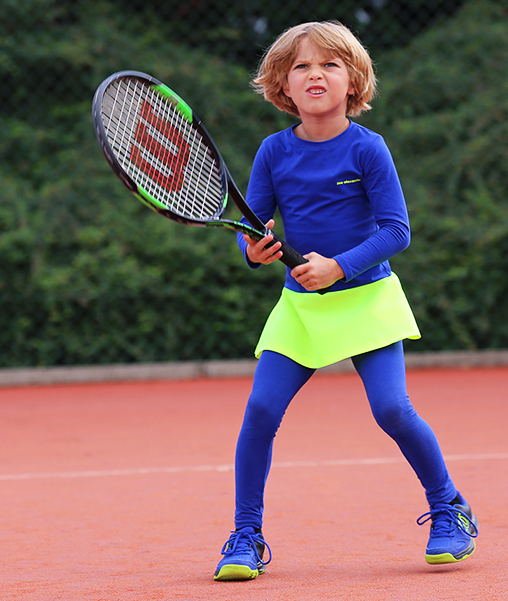 This entry was posted in Girls Tennis Clothes, Junior Tennis Shoes and tagged blue tennis dress, girls black tennis hoodies, girls blue tennis hoodies, junior tennis apparel, junior tennis shoes, neon tennis dresses, wilson kaos comp blue tennis shoe, wilson tennis, winter tennis clothes, winter tennis dresses, zoe alexander tennis.